Recently, Rockstar announced that they are going be compensating all gamers who play Online this month with a $500,000 stimulus package. The company explained that they wouldn’t give the entire $500,000 at once, but instead divide it in half so players will only receive $250,000; which will be deposited into their Bank Account. The reason being is Rockstar don't want to ruin the Online economy by giving gamers the half a million stimulus all at once. This is a smart move by Rockstar as it will give the new or reset players a 'jump-start' into the multiplayer experience to compete against those who managed to keep possession of any money made. "In order to keep the current worldwide in-game economy balanced, we will be providing this GTA$ to players via two deposits of $250,000." You must play or have played Grand Theft Auto Online at any time during the month of October 2013 in order to qualify for the $500,000 deposit in your in-game bank account. Players will first have to install a forthcoming GTAV title update which we expect to happen next week. That title update (1.04) is expected to fix the remaining instances of issues that have caused vehicle purchase loss and will also enable the functionality through which we’ll be providing this stimulus cash package to players. We will announce at the Rockstar Newswire when each deposit is made. Each of the two $250,000 deposits will be made by Rockstar and should automatically appear in the in-game GTA Online bank accounts of eligible players. Beyond downloading the forthcoming title update mentioned above, there should not be any additional special action required by eligible players to redeem. 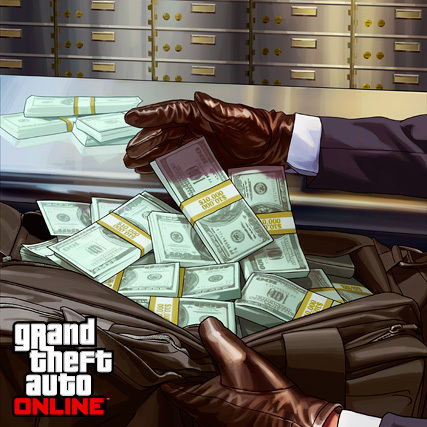 There are no specific release dates as to when the cash will be placed in the accounts, but Rockstar hope that they can get the first package out by the end of next week, with the second package arriving sometime around the end of October. "We will announce specific dates as soon as possible, but are currently hoping to be able to make the first deposit by the end of next week (after we’ve confirmed that issues causing game progress loss have been fixed) with the second installment to happen by the end of the month." Will Rockstar be able to rejuvenate everyone's minds and get game owners forgiveness? Do you think they should give more or less? Is this an attempt to get users to purchase cash packs when they become available again? Post your thoughts below.